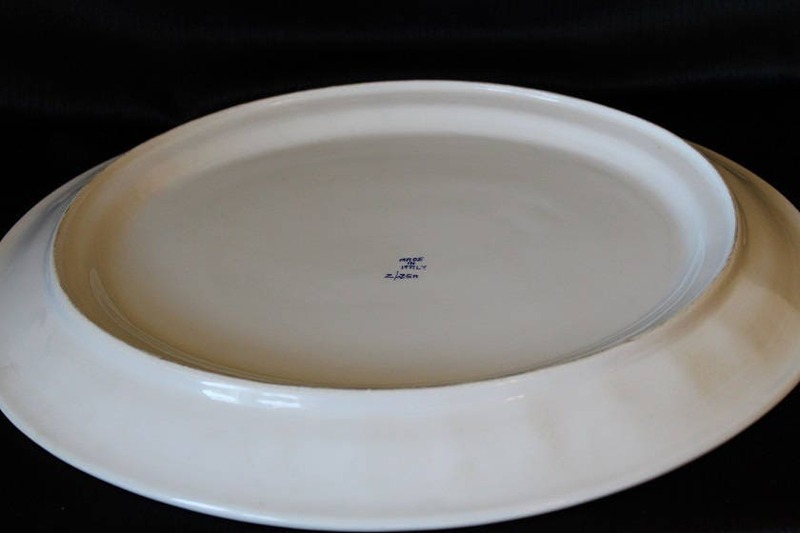 This oval ceramic serving platter is a large, heavy piece. 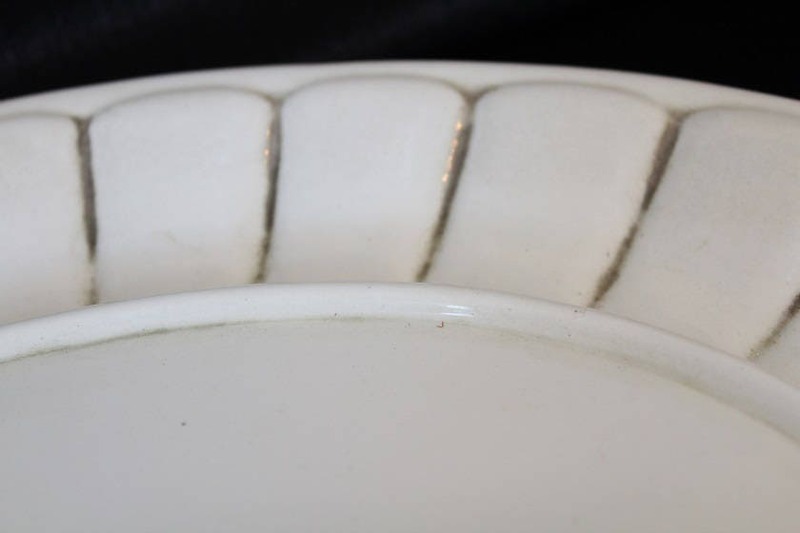 It is an overall cream color with a raised geometric pattern around the rim. This pattern is framed with a gray color painted in the indentations between each raised section. It is marked "Made Italy" on the bottom and numbered 2/25A. 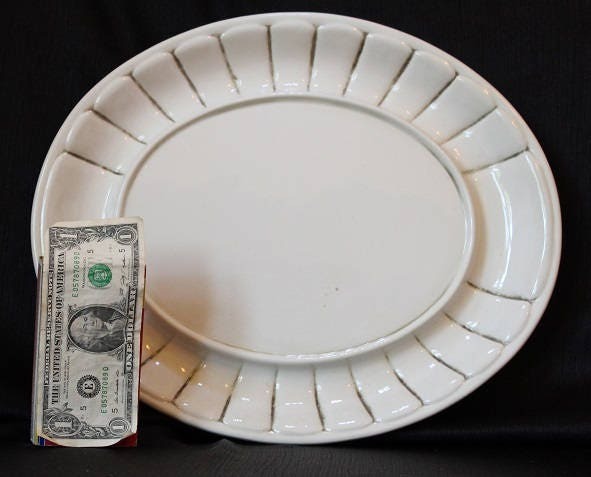 This serving platter is in excellent condition with no cracks or chips.